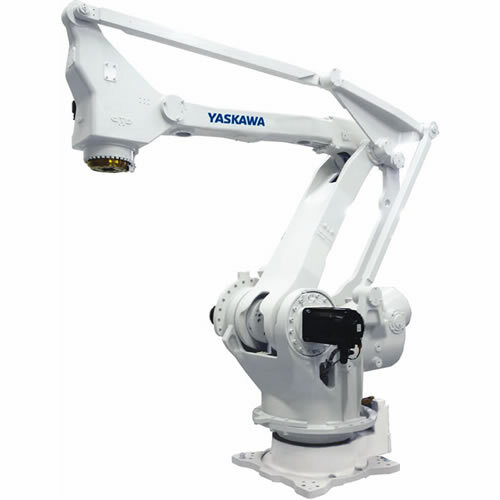 Yaskawa Motoman offers manufacturers a wide range of robotic solutions for palletizing and depalletizing. 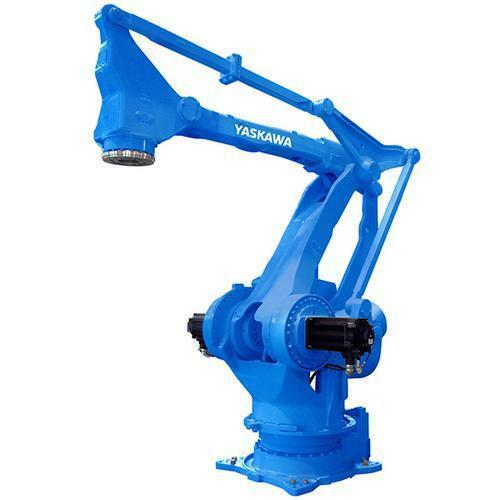 When using flexible robotics with 2D and 3D vision systems, specialized software and tooling enable you to customize your shipping and receiving without sacrificing speed and accuracy. 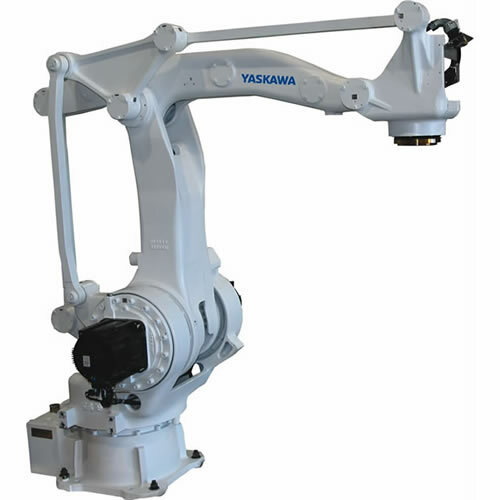 Yaskawa Motoman offers a broad-range of robots specifically designed for layer-forming, palletizing/depalletizing applications. Complete palletizer systems engineered by top robotic packaging integration and OEM partners. NSF-H1 certified food grade lubricants are standard on most of our palletizing robots, making them applicable in a wide variety of industries and environments including food and beverage, warehouse and distribution, and industrial products. 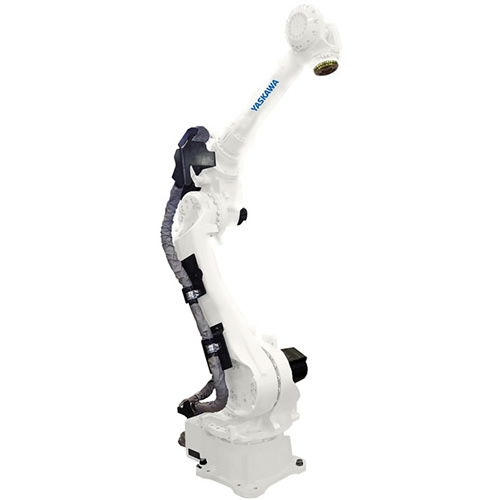 Our network of system integrators, Motoman Strategic Partners, offers application expertise to deliver turn-key robotic solutions for palletizing cartons, trays, bags and other product types. Capabilities also extend to case packing, order picking and warehouse distribution systems to meet your market demands. MLX robot control and PalletSolver software enables all programming to be handled from Rockline's existing PLC, using ladder logic - making the system more simple to program, operate and reproduce for other lines and locations. Motoman integration partner Hamer-Fischbein combined the bagging and palletizing for this livestock feed producer to remove a bottleneck in the previous process. Motoman integration partner S&R Robot Systems replaced this chemical manufacturer's manual process for a robotic line enabled with PLC-based programming, offline pallet pattern generation and 2D visual inspection. 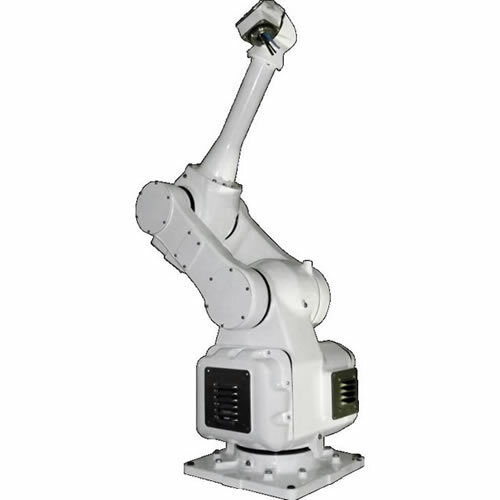 Robust PC architecture provides system level controls for robotic work-cells.DX controllers are powered with patented multiple robot control that can control up to 8 robots or 72 axes. 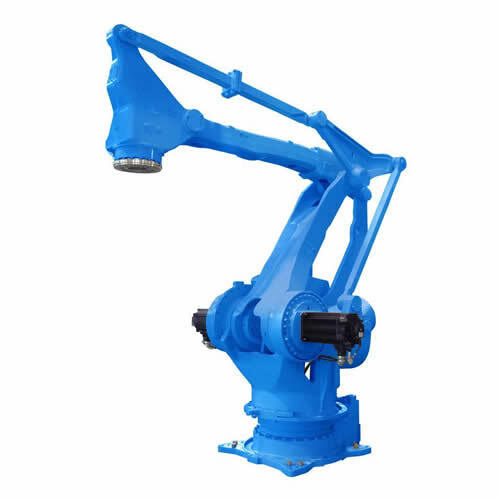 The full featured touch-screen color HMI is standard with the robot teach pendant. MLX offers a unique approach to program and control robots entirely through Rockwell Automation’s CompactLogix™ and ControlLogix® Programmable Automation Controllers (PAC). The PLC system now controls the robot along with other peripheral equipment such as conveyors, fillers and sensors. There is no need to learn to program with a robot language. Everything is done through widely used PLC ladder. This approach offers tremendous benefits as the systems are very easy to use and, importantly, easy to maintain. Our software suite includes MotoSight™ for vision-guided applications and PalletSolver® for homogeneous case or bag palletization are designed for ease of use and ease of integration of turn-key robotic systems. PalletSolver is a pattern generation tool that facilitates quick changeover of pallet patterns or products without halting production for validation. The easy to use full featured palletizing software enables offline pattern build/import with constraints handling and interface for monitoring and controlling the entire palletization process with supervisory controls. This software is available for both DX and MLX platforms. The use of robotics for palletizing applications continues to be one of the fastest growing segments in robotics. 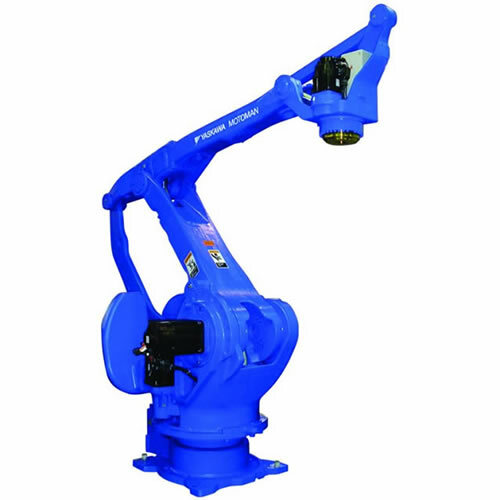 Our line of palletizer robots range from 50 kg to 800 kg payload with 4-6 axes of articulation. With this wide range of payload capacity, it’s your choice to pick single-case or an entire layer for stacking and breaking down pallet loads. 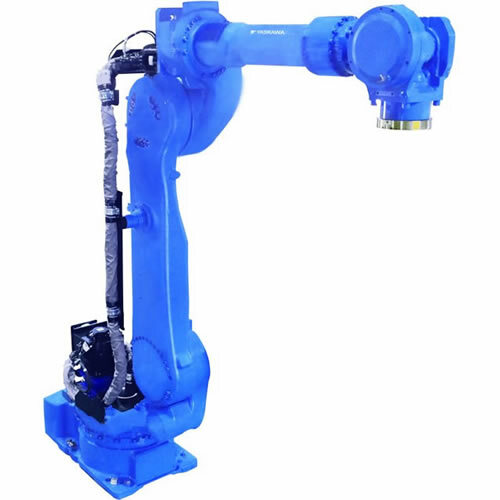 All of our palletizer robot models are compatible with our MLX package, allowing you to program them and run our PalletSolver software directly from your PLC.